Where is Blackford and what is the Fiddle Group? Blackford is a small Scottish village in south Perthshire, just off the A9 between Perth and Dunblane. It is perhaps an unremarkable place, but we like to think that one of the things that is remarkable here is the fiddle group. 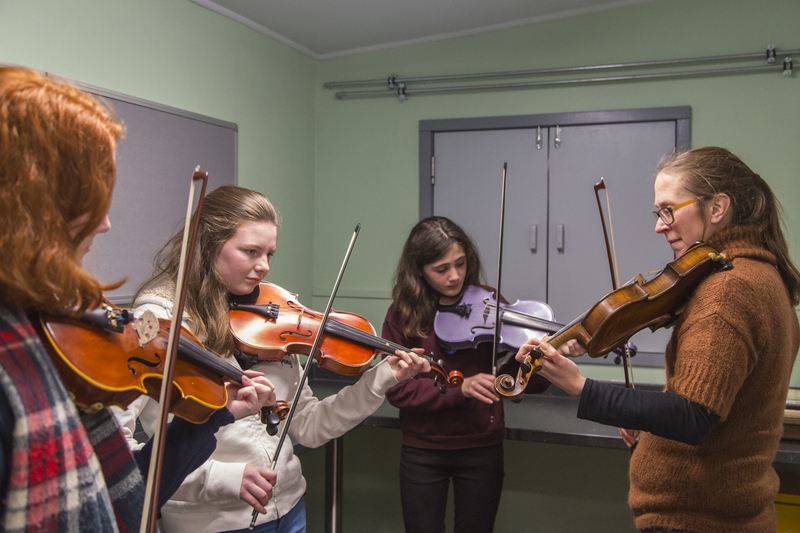 Set up in 1996 by Peter Cope it aims to help people of any age to learn to play the fiddle in a traditional style. At the group we do not teach people how to play the fiddle in a formal way and only occasionally do we have qualified tutors. The goal of the group is to enable people to learn to play fiddle tunes competently and confidently so that they can enjoy themselves and entertain other people at social events. It is about learning rather than teaching. Our slogan is "Be your own good teacher" as we believe that you only learn by playing and that the best thing to do is to play regularly. Who can join and how does it work? 6.55 - 7.05 Arrive and tune up. If you arrive after this you are technically late and will just have to fit in. 7.05 - 7.25 Everyone together. Playing tunes from BFG Wee Music Book. 7.30 - 8.00ish Teaching / learning session. Beginners 1-2-1 or small groups. Younger players in groups. We are a very informal group and we do not have lots of committee meetings and rules. We have a constitution and operate to charitable ideals although we have chosen not to become a registered charity. If you want to speak to one of us see the contacts page. The Blackford Fiddle Group Ceilidh Band has played for a wide variety of events over the years. From early years doing small community events the Ceilidh Band is now experienced in playing for events large or small, whatever the event; parties, weddings and fund-raising events. The band typically consists of fiddles, guitar, whistle/flute, concertina, bass and bodhran. We also have callers to help the dancers and we supply all necessary PA equipment. One thing that has not changed over the years is that we introduce new players to the Ceilidh Band to give them experience of performance. 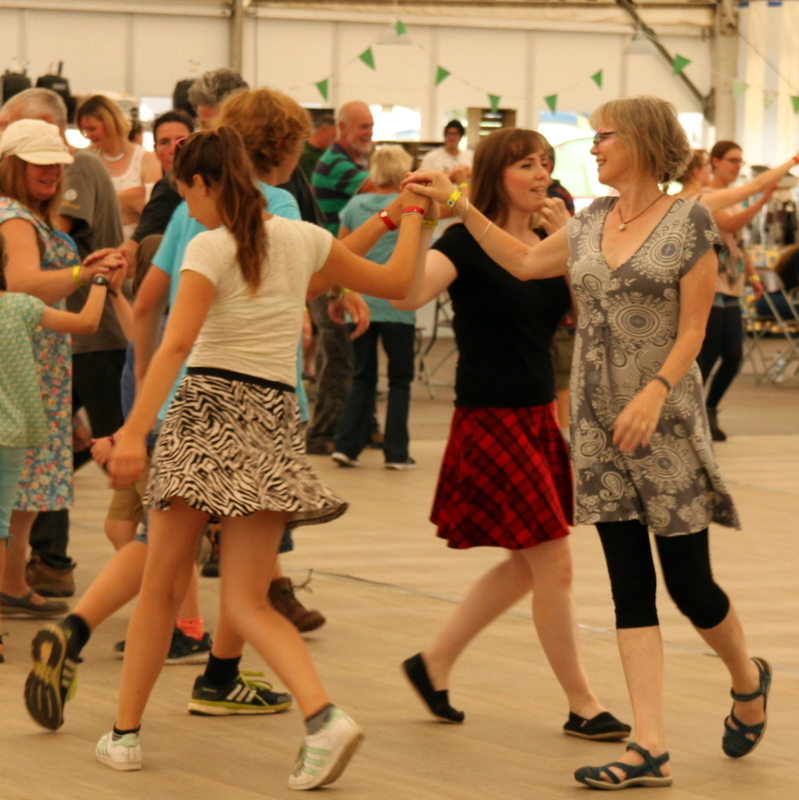 The Ceilidh Band fees are used to fund for the whole group.